Many experts say that the prescription retinoid Retin-A is the most powerful topical anti-ager you can get your hands on. Here's everything you need to know about Retin-A's side effects, as well as its benefits for everything from aging to acne. As an editor at Health, I'm lucky to have the opportunity to interview top dermatologists for their recommendations on everything from the best vitamin C serums to how to heal a scar. One word that seems to pop up again, and again, and again when I ask about their own skincare routines? Retin-A. The powerful prescription cream, which contains a form of retinoid called tretinoin, is considered by many experts to be the gold standard for anti-aging. "You'll be hard-pressed to find a single dermatologist who is not using Retin-A," says Anna Guanche, MD, a dermatologist and celebrity beauty expert based in Calabasas, California, adding that she's been using it herself for 24 years. "It's the most powerful anti-aging topical known to us at this time." But is it right for you? Here's everything you should know about Retin-A before you ask your dermatologist for a prescription. Retin-A vs. OTC retinol: What's the difference? You're probably familiar with over-the-counter retinol creams. Maybe you even currently use one in your routine. But while they may sound nearly identical, prescription retinoids like Retin-A and over-the-counter retinols have some major differences. Both are vitamin A derivatives that work to increase cell turnover, but the prescription version is much stronger—and can deliver dramatic results in less time. "Retin-A works more quickly and is more potent than retinol products," explains New York City-based dermatologist Debra Jaliman, MD, author of the book Skin Rules. "Retinol is slower and needs to be converted in the skin to be effective, but Retin-A does not need this conversion process." To make the retinoid-retinol family tree even more confusing, tretinoin is one of a few different retinoid varieties. Others include isotretinoin, tazarotene, and adapalene—which you might recognize as the key ingredient in Differin Gel, currently the only over-the-counter retinoid available without a prescription. The main difference? "Other forms of retinoids such as Differin are synthetic," says Dr. Jaliman. "Retin-A is a natural form of vitamin A." Retin-A is a brand name version of tretinoin, but another, called Altreno, was also recently approved by the FDA. 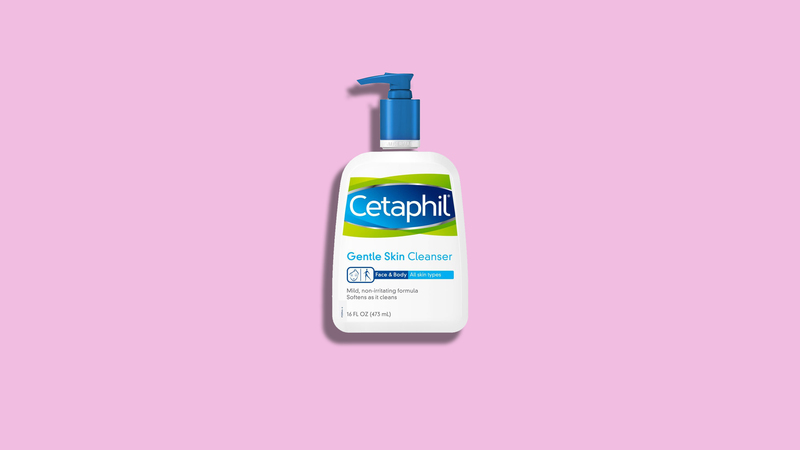 This new lotion may be a good choice for those with skin prone to irritation, says Joshua Zeichner, MD, director of cosmetic and clinical research in dermatology at Mount Sinai Hospital in New York City. "It uses a honeycomb technology to disperse tretinoin evenly within the lotion and contains ingredients you may have heard of from your moisturizer, like a form of hyaluronic acid and glycerin," explains Dr. Zeichner, who worked with Altreno on their launch. There's a reason Retin-A is in the medicine cabinets of so many dermatologists. The formula uses an accelerated process to remove dead skin cells and keep pores clear, which can prevent inflammatory and cystic acne, notes Dr. Jaliman. It's also a natural exfoliant that can improve skin texture, and as a result, help lighten dark spots and erase hyperpigmentation caused by sun damage. Maybe most importantly, it can make you look younger than your years. "It's known to promote collagen synthesis, and will help lessen the appearance of fine lines and wrinkles," says Dr. Jaliman. As effective as it is, Retin-A isn't for everyone. Most importantly, pregnant women should not use Retin-A (or any other retinoid or retinol for that matter) because the ingredient has been linked to birth defects and fetal development problems. Many first-time Retin-A users report that their skin actually gets worse before it gets better. As frustrating as this is, symptoms like dryness, redness, and irritation are normal when first introducing Retin-A, says Dr. Guanche. "Retinoids have a 'retinoid reaction,' which is a period where peeling and some mild irritation occurs," she says. The good news? Skin should adapt within two to four weeks, says Dr. Zeichner. "With continued use, this irritation goes away on its own," he tells us. Retinols and retinoids also make skin more sun sensitive, so it's crucial to wear sunscreen every single day when you're using it (and of course, you should be doing that anyway, because skin cancer). Dr. Guanche likes EltaMD UV Clear Facial Sunscreen Broad-Spectrum SPF 46 ($33; amazon.com). Like Differin and retinol, Retin-A doesn't always mix well with the other ingredients in your skincare routine. "Tretinoin is a very temperamental molecule," says Dr. Zeichner. "It's easily activated in the presence of light or ingredients like benzoyl peroxide." In addition to the common pimple-fighter, you'll want to avoid salicylic acid, toners, and chemical exfoliators like glycolic acid, all of which can make skin too sensitive when used in combination with Retin-A. Instead, reach for a gentle face wash that won't strip moisture from skin. Dr. Guanche is a fan of SkinCeuticals Gentle Cleanser ($34; dermstore.com) and classic Cetaphil ($28 for 2; amazon.com). She also recommends iS Clinical Moisturizing Complex ($87; dermstore.com) and SkinCeuticals A.G.E. Interrupter ($162; dermtore.com) to combat the dryness you might experience in that initial "retinoid reaction" phase.